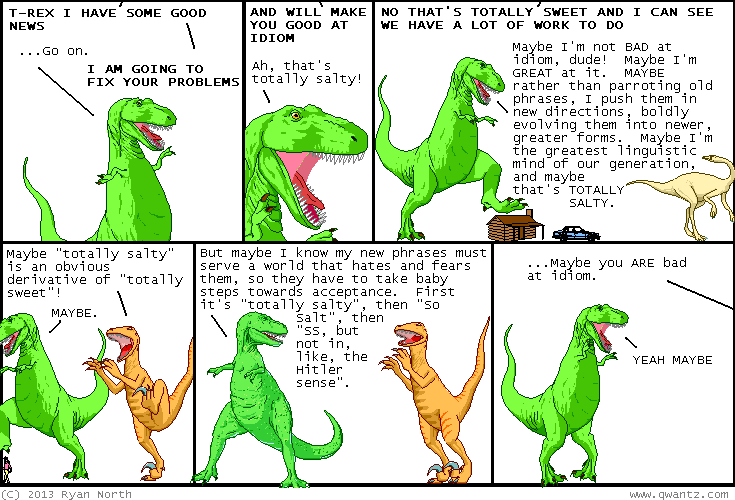 Dinosaur Comics - October 23rd, 2013 - awesome fun times! –WHO THEREFORE CARRIES WITHIN HIMSELF THE POTENTIAL TO BE A CREEPY OLD GUY TOO?? October 23rd, 2013: There is a Kickstarter for Bee and Puppycat! I recommend you check out this Kickstarter for Bee and Puppycat!